What you think you know and what you actually know, makes a lot of difference. And that’s exactly the case with SEO. Everyone seems to be an ‘SEO Expert’, but do they really know the business as they claim. And today, in the online marketplace, a plethora of information is available, and people are worried about what to trust and what to implement. Preferably, it is smart brains to experiment what you read before actually applying it to your site. The effectiveness of this technique would vary from business to business. Here, you try to find out who is mentioning about you, or your business, or your products or services or even your content without mentioning your brand name or adding a link to your site. And once you have a list of such people, reach out to them and request them to mention your website’s link to their posts. This technique can be highly effective if you are an already established brand, as it will land you thousands of new links and that too with little efforts. The results of this technique may again vary from industry to industry, but either way, it can benefit you either at large or in a little way. While many sites use one-off guest posts to boost traffic to their sites, if applied on-going content, it can dramatically increase the traffic, in the long run. By on-going, we mean creating meaningful content relating to your industry. Such industry related publications will not only build repute within the industry but also build relationships with your customers which can be utilized later to push new content on your site and bring in a good number of backlinks. This is perhaps the most underrated SEO technique today. It has been unfortunately and incorrectly accepted that acquiring an existing website will burn big holes in your pocket. But this doesn’t stand true. In fact, a strategic and rightly planned acquisition can result in one of the best investments. Such acquisitions can move the entire existing traffic of the acquired site into yours, all the links of the acquired site can be taken by you, it results in huge accumulation of content that belonged to the acquired site, the keyword rankings of the acquired site come to you and you may even get access to their social media accounts and mailing list subscribers. 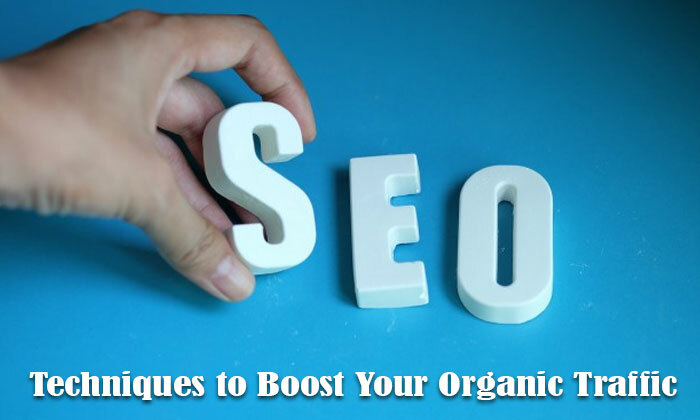 It’s true for every website, whether a startup or an established one – most of the organic traffic comes from only a few of the total content on the website. All you need to do is, find out the underperforming content on your site, especially that which ranks on the second or third page and optimize it to boost traffic. Mr. Naveen Kumar is the CEO and Founder of JDM Web Technologies, a leading company in India providing SEO services across the globe.